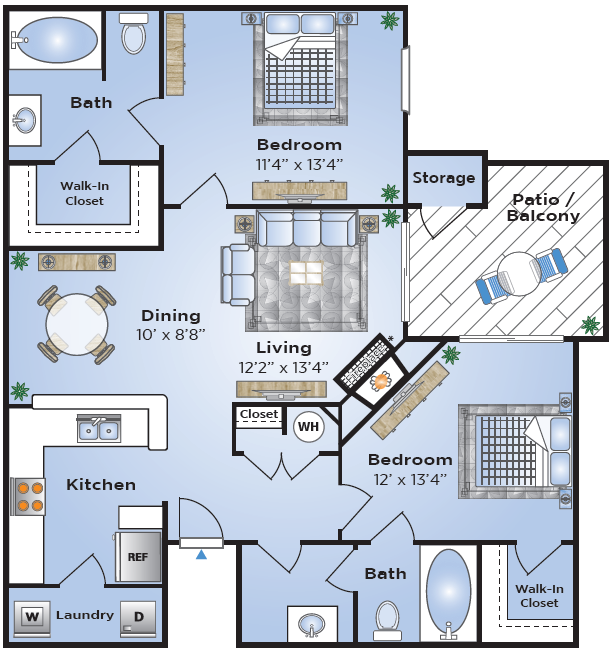 Choose a life of luxury at Advenir at Lake Charles. 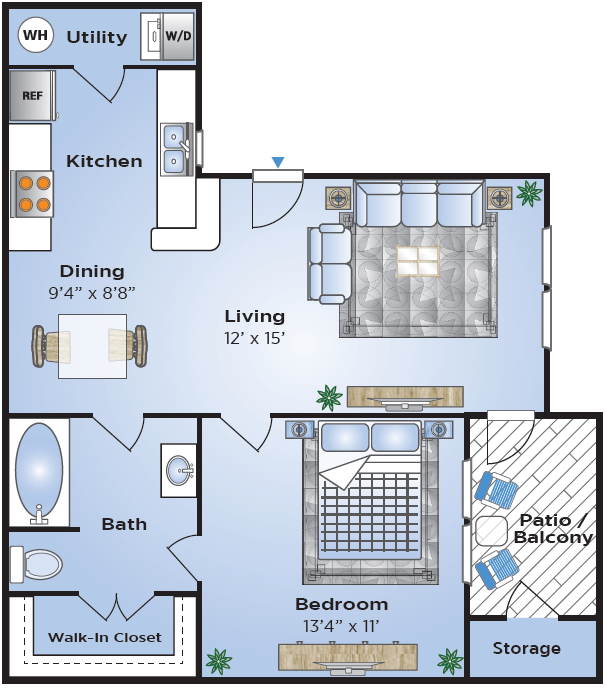 Our beautiful Lake Charles apartments will never cease to amaze you, and that starts with our spacious floor plans. 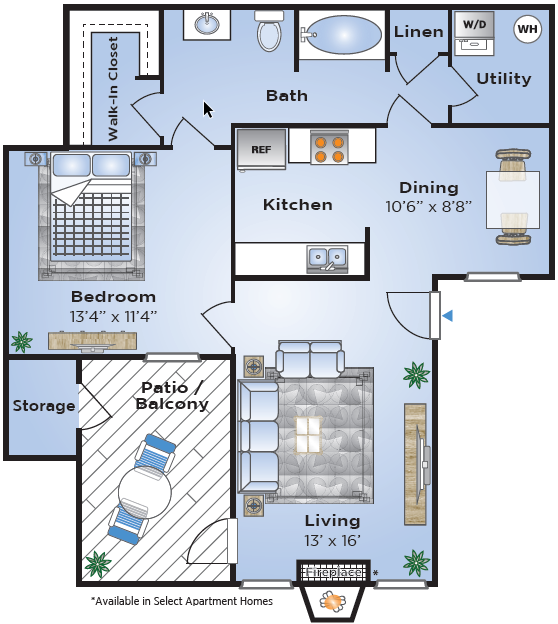 Advenir at Lake Charles offers a variety of one-, two-, and three-bedroom floor plans, ranging anywhere from 665 to 1,267 square feet. With so much space available, you’re never short on storage. 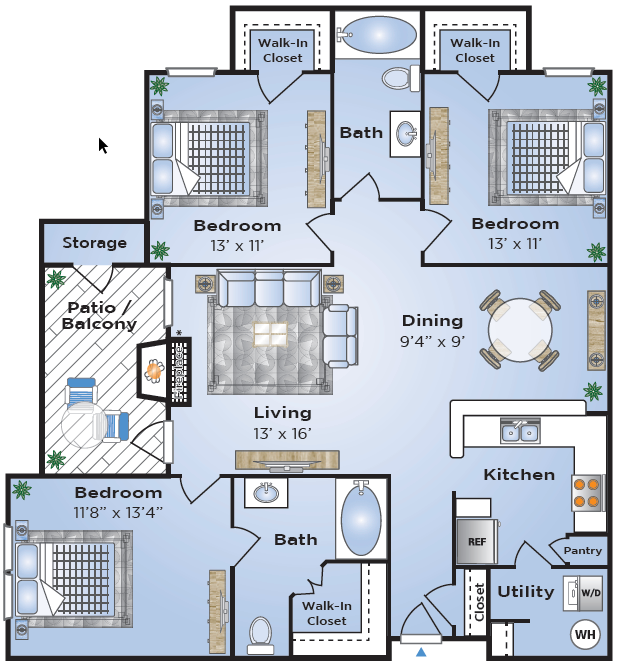 Additionally, the added area allows you to customize your apartment to your tastes and styles. 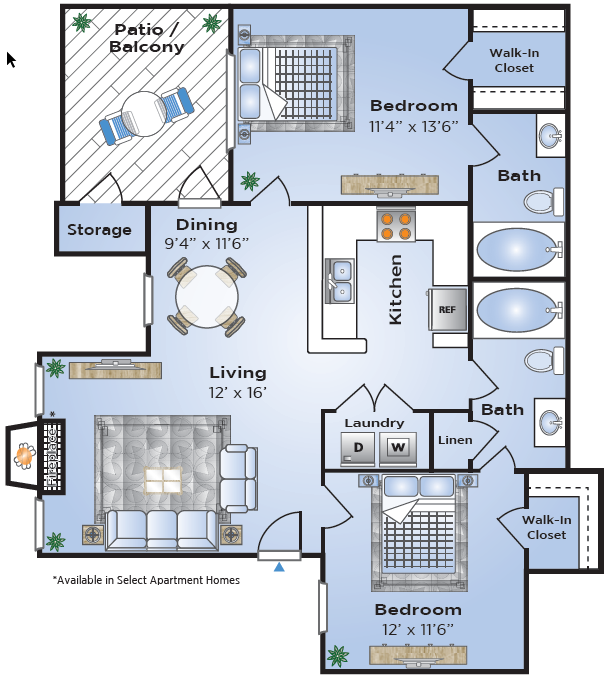 Maybe the best aspect of our floor plans are the balcony. 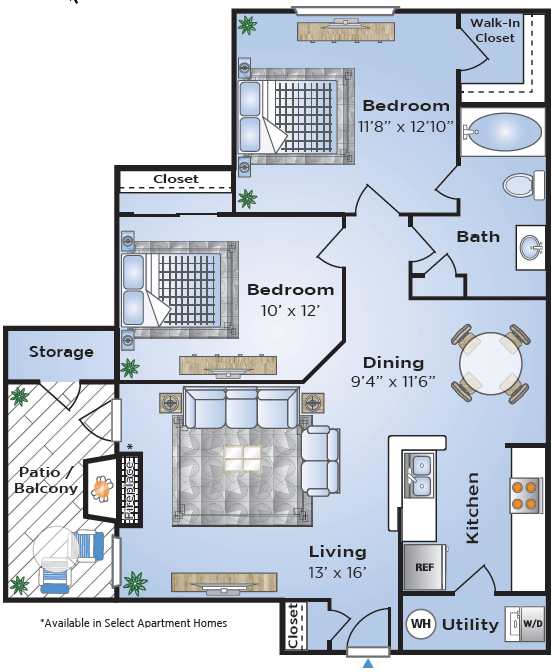 Along with all of our amenities, each of our luxury apartments have an attached patio or balcony that allows you to step outside and enjoy the warm Bayou breeze. Do you like what you see? Just wait until you see it in person! Contact us to set up a tour and experience it for yourself.